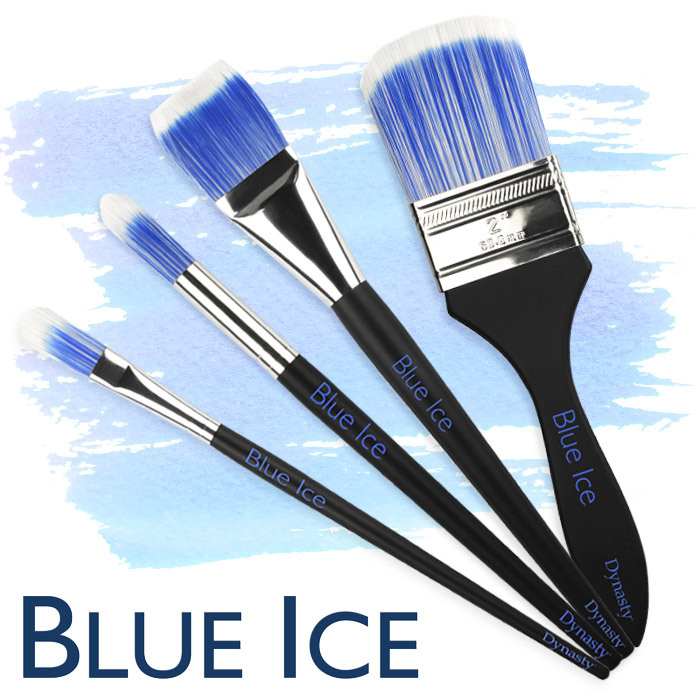 Blue Ice occurs when snow falls on a glacier, is compressed and becomes part of the glacier. Air Bubbles are squeezed out and ice crystals enlarge, making the Ice blue. Clear blue ice is the strongest. Dynasty’s Blue Ice collection tempers the strength of glacial ice with flexibility to move heavy mediums. It’s soft white tip maintains chisel and point creating detail work usually achieved by a finer brush. 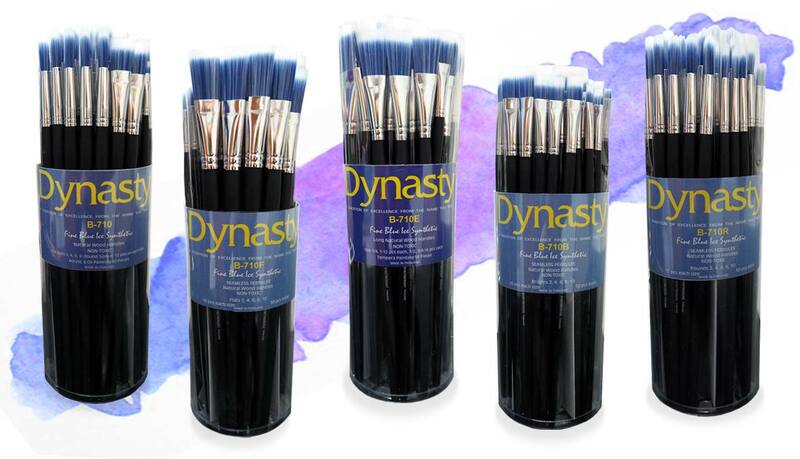 A smooth flow on small or large surfaces creating a versatile brush for the versatile artist.